two mics. two sets of ovaries. too much fun. 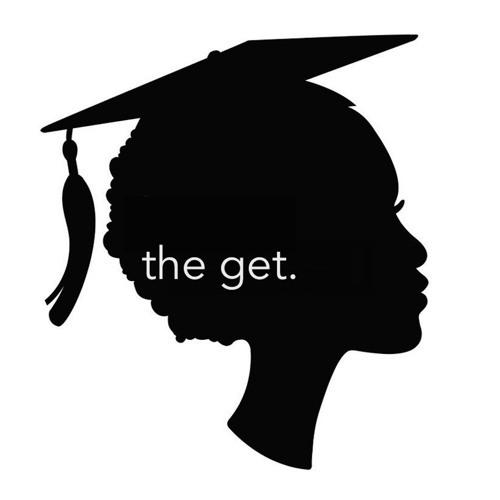 ... the get is hosted by Ivy and Rhiana, women of color who are committed to social justice, living, and being free. We are inspired by by LaVerne Cox's concept of "possibility models" and the growing representation of marginalized voices in all forms of social media. The Get is our effort to take up space, to share our voices, and to encourage our listeners to do the same. We're manspreading in the podcast world. Won't you join us? Greetings from Wakanda! by the get. Friendship Across Difference by the get. Insecure: The Deep Dive by the get. The 'We Belong Together' Comeback Tour by the get. Episode 21: Won't You Celebrate With Me by the get. Episode 20: When Keeping It White Goes Wrong by the get. Episode 18: How to Fail (Not So) Gracefully by the get. Episode 19: Better Together by the get. Episode 17: Movin' On Up by the get. Episode 16: This Ain't No Intro, This The Entree by the get.